Governor Walker has returned from the national stage and wasted no time getting back into Wisconsin politics. Taking aim at his colleagues in the Legislature, he published an opinion article in the Milwaukee Journal Sentinel indirectly calling out members of the majority party while expressing his thoughts on the current $600 million transportation budget shortfall. Governor Walker reassured the citizens of Wisconsin he will not follow party leadership and support an increase in the gas tax or vehicle registration. The Governor also defended his decision to borrow funds for the 2015-2017 transportation budget which came under attack during last year’s budget debates. Claiming the budget was the lowest level of overall borrowing in 20 years, Governor Walker said those who suggest he has relied too heavily on borrowing are leaving out important facts. Last session, the Governor suggested borrowing $1.3 billion in overall bonding which was eventually reduced to $850 million in the legislature. The next day, State Assembly Speaker Robin Vos (R- Rochester) responded to Walker’s op-ed while appearing on an episode of Wisconsin Public Television’s “Here and Now”. Rep. Vos stated he does not intend to pass a budget that does not fix the problem. During his interview, he said he disagrees with the Governor and that “all options should be on the table” when discussing funding. “I just disagree fundamentally with Gov. Walker’s assumption that we can kick the can down the road, push decisions onto a future legislature, which will end up being more expensive and potentially not in the interest of taxpayers”, said Vos. “We just have to have the public engaged in that conversation to work on convincing Gov. 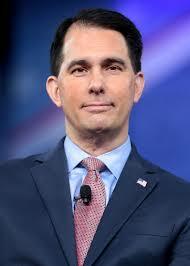 Walker that it’s not more conservative to borrow as opposed to spending it smartly now”. As of now, the Governor and the leader of the Assembly continue to disagree on Wisconsin’s transportation budget, but they will have to wait until after the election to move forward on any proposals. The new legislative session will begin in January of 2017.